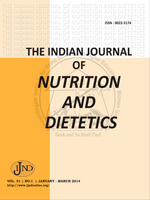 This book of food analysis by ISI comprises of three parts namely part II sugar and honey, Part III edible starches and starch products and Part IV, food grains and food grain products. In part II, analysis of sugar and honey products such as plantation, white sugar, refined sugar, icing sugar, and cane molasses, extracted honey etc. are detailed with a total of 59 analytical procedures.